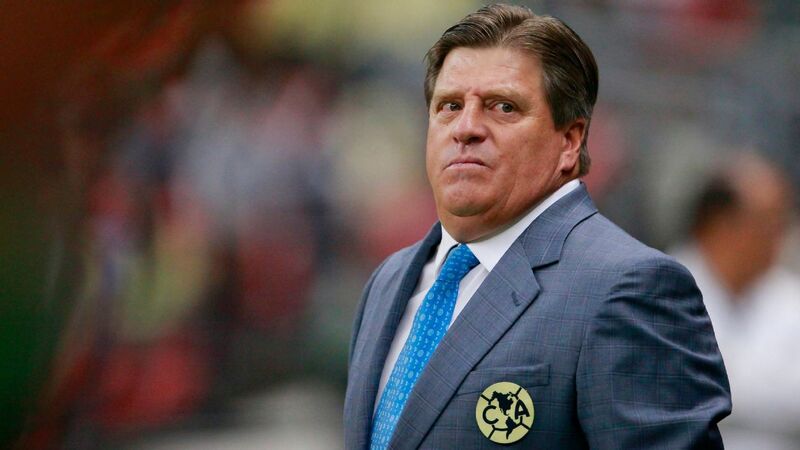 Miguel Herrera is preparing his Club America side for the Copa MX final. Club America manager Miguel Herrera said his side have learned from their Apertura elimination by Juarez as they prepare to face the same opponents in the Copa MX Clausura final. Second tier Juarez stunned Mexican giants America with victory on penalties when the two teams met in the round of 16. They will play each other again in the Clausura final on Wednesday (live on ESPN Deportes at 10 p.m. ET) -- the first time a top tier team has faced a side from the division below. New Atlas sporting president Rafa Marquez wants his club to follow the Barcelona model. Marquez was formally presented in his new position at his first club Atlas on Tuesday, just weeks after the 39-year-old captained Mexico at his fifth World Cup. "I'm thankful for the trust placed in me," said Marquez in a news conference. "I'm starting a new stage with the team in which I took my first steps [as a pro] and in which I finished my career. "It's a team I love and there is a lot of responsibility. The 13th edition of the Copa MX, which has been played twice per year since it was restored in 2012, kicks off Tuesday and will see the debut of the 19/11 rule that requires participating clubs to consistently use players under 20 -- an unprecedented step in the history of the national championship. The rule, which calls for 180 combined minutes per match from players under 20, is the biggest change to the tournament, which was restored for the Apertura 2012 season.